Get some altitude in mountain peaks, attitude on river runs, and time and space under the stars. 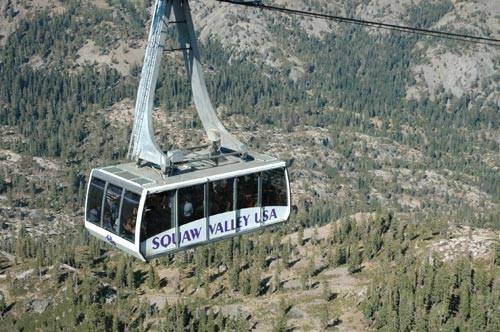 Squaw Valley Ride this mountain resort’s high-flying tram to High Camp to zip around the ice-skating rink, jump in the pool, and dine while overlooking snowy peaks and views. Northstar Resort (19mi; 28min). Swing by the California Welcome Center in Truckee for tips. At Northstar, shop, bike, hike, and see outdoor concerts. Kings Beach (7mi; 12min). Get the hang of stand-up paddleboarding with a lesson at Tahoe Paddle & Oar. Or join a guided kayak tour. Lee Vining (131mi; 2hr52min). Visit the excellent Mono Lake Visitor Center to learn about this otherworldly landscape of chalk-white tufa towers ringing the lake. Mammoth Lakes (29mi; 38min). Get tips at the California Welcome Center. At Mammoth Mountain Adventure Center, tackle the climbing wall and rent mountain bikes. Then—massages at Snowcreek Athletic Club. Bishop (42mi; 49min). See images by adventure-photographer Galen Rowell at Mountain Light Gallery. 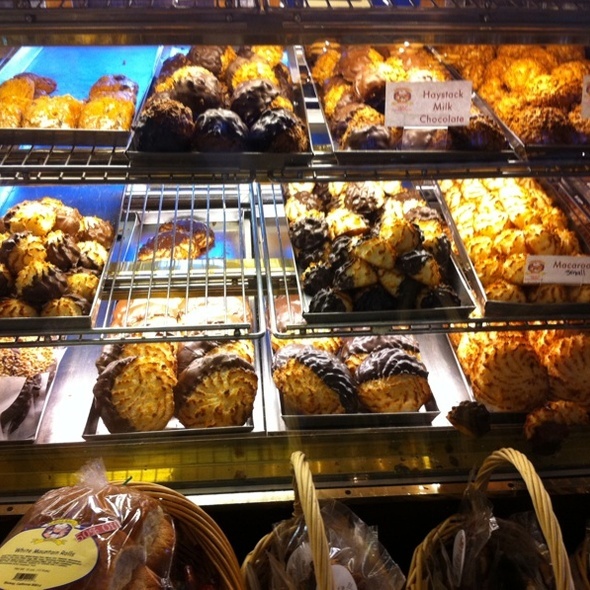 Snack at Erick Schat’s Bakkerÿ. Independence (42mi; 54min). View trout at Mt. Whitney Fish Hatchery. Learn about a sobering slice of American history at Manzanar National Historic Site, a remote Japanese internment camp during WWII. Lone Pine (16mi; 19min). Head for the Alabama Hills, the setting of hundreds of films and TV shows. Kernville (118mi; 2hr12min). Got older kids? Get their adrenaline pumping on a bump-and-soak raft ride down the Kern River. Let them brag about their bravado over steaks at McNally’s. 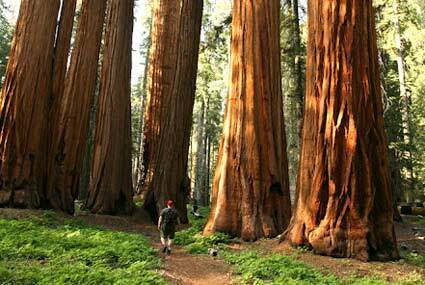 Giant Sequoia National Monument (69mi; 1hr53min). Discover how a seedling less than half an inch can grow to 250’ and easily 20’ in diameter!